If you have an online business in operation, you can never ignore the potential of social media as a marketing platform. Social media platforms like Facebook, Twitter, LinkedIn and Pinterest can drive lots of traffic to your website. Thanks to WordPress plugins, they have always proved to be of immense help. There are dozens of social media plugins that you can use to boost the visibility of your website. But how do you find which of them are the best for your purpose? Testing each one that you find in the WordPress plugin repository will easily overwhelm you. So, we’ve done the homework for you! Here’s a list of 15 best social media plugins you should use for the promotion of your WordPress website. It’s a well-known social media plugin. Loaded with lots of different options, the Sassy Social Share plugin can be the solution you’ve always looked for. Using this plugin, you can add social media buttons to your blog posts, as well as go for the floating social menu option. The social media plugin comes along with three styles that you can apply to your social buttons – rounded, square, rectangle. A very effective social sharing tool for all kinds of bloggers. Using this plugin, you can easily add buttons to your WordPress website for an array of social media platforms. Since 2006, this plugin has been helping tons of websites get ready for social media promotion. The plugin offers you custom placement and appearance – before and after content, floating share bar (vertical and horizontal) and within a theme layout. The AddtoAny social media plugin also offers functionality like integration of analytics, mobile optimization and wide community support. Equipped with this easy to use WordPress plugin, you can customize and display social media icons as per your exact need. It offers simple options for linking to your social media profiles. Whether you want to give the icons a size and color of your choosing or align them to left, centre or right, this plugin makes it all feel like breeze. A great plugin indeed! Thanks to the dedicated efforts of savvy digital marketers and expert developers, Social Warfare is a good option to go for if you plan to boost your social media sharing and drive more traffic to your WordPress website. Social Warfare is available for all popular social networking platforms. Also, the plugin offers a number of placement options for your social media buttons. The best part about this social media plugin is that it’s design features are great and it is lightweight as well. SumoMe is a very powerful WordPress plugin with lots of features. With the help of this plugin, you can make it easy for your readers to share your articles as well as subscribe to your email newsletter. Free tools provided by this plugin include list builder, sharing, welcome mat, heat map, scroll box, smart bar etc. This is, in fact, one of the best plugins that you can use to automate the growth of your WordPress website without hassle. If you want to create an option using which visitors and customers can register on your website using their social media accounts’ Ids, WordPress Social Login is the plugin that you should choose. When you have a social login feature on your website, it saves users a lot of time because they don’t have to fill out long registration forms any more. The WordPress Social Login is also quite meticulously developed for easy customization and integration. No matter what type of audience you are seeking, the social media plugin supports a wide variety of providers. While visiting other people’s blogs, you might have noticed an in-content feature called tweetable content. If you want to apply this awesome feature to your WordPress website as well, Better Click to Tweet is the plugin to use. With the help of a simple shortcode, you can covert any piece of text in your post into highlighted and tweetable content. MashShare is a great plugin to fulfill your needs of social media sharing and optimization. Many social media plugins that offer sharing feature often use external scripts, which increases the download time of websites. But with MashShare, you don’t have to worry about the speed of your website because it loads all the codes from your website directly. Free and paid add-ons provided by the plugin include more social media sharing buttons, sticky share bar, social sharing optimization, YouTube video share popups, Google Analytics etc. If you want to add social sharing feature without slowing down your WordPress website, go for Easy Social Share Buttons. The plugin offers two styles to choose from – minimal icon buttons and share buttons with added share count. With the help of a developer, you can also include the plugin’s CSS directly in your theme’s styles. This is done to reduce extra http requests. Usually, bloggers share their recent posts. But what about old posts? Sharing your old posts is an excellent idea to drive additional traffic to your WordPress website. If this sounds like a good idea, you can automate it using Revive Old Post plugin. Once you have set this plugin up, it will keep on sharing your older posts on social media platforms automatically. It is also a great plugin to have by your side if you want to promote your content. With the help of this plugin, you can easily add attractive social media sharing buttons to your WordPress website. WP Social Sharing provides support for all the popular social platforms. Planning to improve the user engagement potential of your website? If yes, start using Swifty Bar right away. After you install and activate this plugin, it adds a sticky bar at the bottom of your blog posts displaying category, post title, time required to read the post and social media sharing buttons. Since this plugin has a pretty clean code, it is lightweight and doesn’t slow down your website. Think of WP Socializer as a complete solution to all your social media needs. This one plugin offers key features like social sharing, icons, follow buttons, mobile share bar, floating share bar etc. The design collection provided by this plugin is so vast that you won’t need to look anywhere else. The plugin Social Share Buttons offers social share buttons for popular social networks, as well as email share and print buttons. These social sharing buttons are also optimized for SEO, as per new Google guidelines. If you use images in your posts and want to use them to maximize your social sharing efforts, Cool Image Share is a must-use plugin. Equipped with this plugin, you can add eye-catching icons to your images so that they attract attention and compel visitors to share your posts. You can also place the icons as you like – top left, top right, bottom left, bottom right and center. There are many other cool features that this plugin comes with. 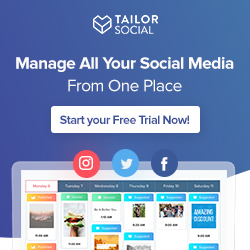 If you’ve been struggling to find the right social media plugins for your website till now, these plugins should be of great help. Check out these best plugins and use those that suit your needs. i am delighted to learn something from this blog and will share with colleagues what i have learned. I like the helpful info you provide in your articles. I will bookmark your blog and check regularly.